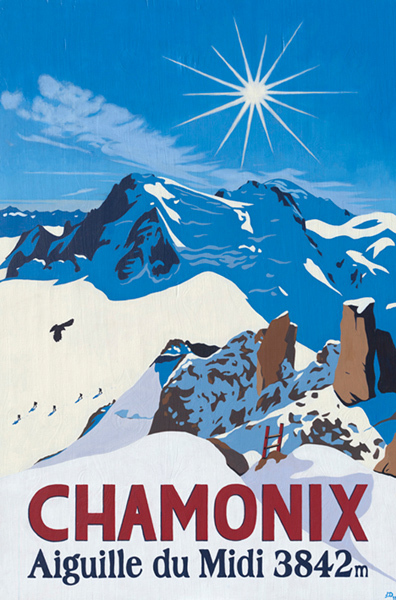 Original acrylic ‘poster style’ painting on plywood of Mont Blanc from the Aiguille du Midi, Chamonix, by Lucy Dunnett. 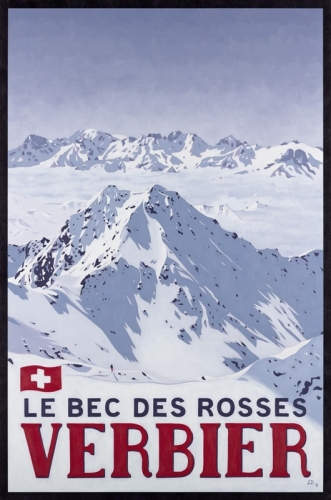 This view of Mont Blanc is from the famous Aiguille du Midi cable car station in Chamonix, France – one of the highest and most spectacular in the world. Acrylic on plywood 75cm x 50cm, framed in black. This is the original, not a print and the only one. You are buying directly from the artist so cutting out any gallery fees. Please email lucy@lucydunnett.com for further details, postage options and to see photos of the painting in its frame.